Underground Low Energy Circuit Cable is used for connecting 24 volt irrigation controllers with solenoid valves for your irrigation system. Can also be used in other direct bury applications. 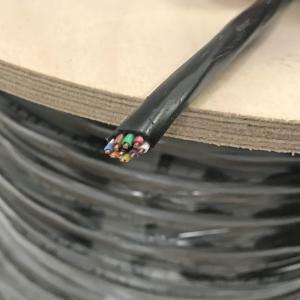 Wire cable meets ASTM B-3 standards with multiple conductors of solid copper, insulated with .015" of 80°C/176°F color coded PVC insulation inside a .025" extruded PE jacket with a nylon rip cord. Wire splices are the weak link of any electrical circuit. It is especially important to make proper joints in irrigation or landscape lighting systems, whether direct burial or valve box installation, because the joints are exposed to wet and damp environments that can cause corrosion of the copper conductor, premature failure, and risk of fires. Visit Paige Electric Conduit Calculator for proper conduit sizing requirements, if needed.